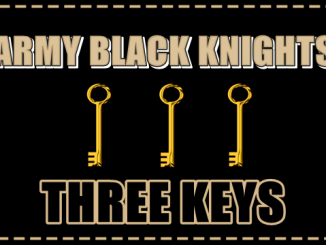 The Black Knights picked up its 11th straight win at home against Air Force on Saturday and retained the Commander-in-Chief’s Trophy in the process. 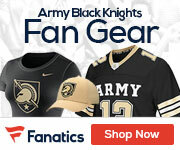 The Black Knights are rolling and they will want to keep up their momentum as they next face FCS foe Lafayette. This is a weird game in a weird place on the schedule. 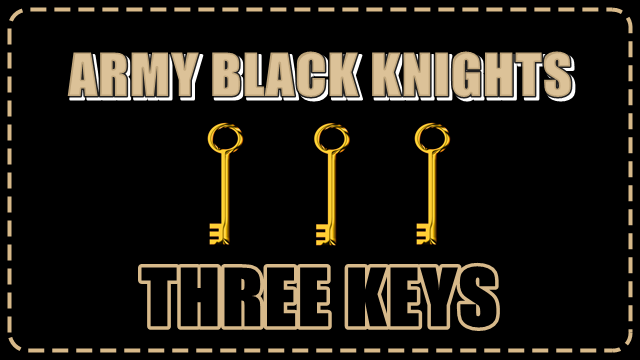 The Black Knights have just been rolling this season, picking up win after win to sit at 7-2 after nine games. Add in that Army defended the Commander-in-Chief’s Trophy with a win over Air Force last time out (the best Navy can do is make the series a three way tie in which case Army keeps the trophy) and this is quickly becoming the most successful season in recent memory for the Black Knights. This game against Lafayette should be nothing more than another day at the office. The problem is that it is so easy to become unfocused when taking on a team from the FCS. 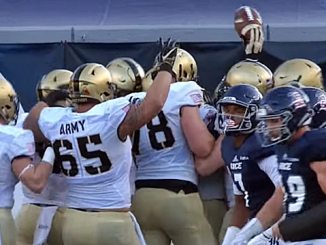 Army is good enough this season to relax a touch against a Leopards team that just lost by 26 against Holy Cross, but taking their foot off of the gas too much could cause problems for Army. Jeff Monken will really have to concentrate on keeping his team focused this week. Air Force contained the Army option for long periods of the Black Knights 17-14 win, especially in the second half after Army had raced out to a 14-0 lead. The Falcons, like the Mids, present a different proposition for Army compared to most teams because they are so familiar with each other’s schemes. That is why it was a day for the fullback to do most of the work and Darnell Woolfolk stepped up to lead the Army rushing attack with 117 yards and a touchdown in 21 carries. While Woolfolk will be big again against the Leopards, this is a game where quarterback Kelvin Hopkins Jr. will get the chance to shine. Lafayette won’t have the scheme knowledge to key on the quarterback as Air Force did, so expect Hopkins to run wild on Saturday. Any upset minded Lafayette squad will need turnovers to beat Army. This is not an FCS team that is going to arrive at Michie Stadium and start winging the football around all over the field. Quarterback Sean O’Malley had 23 completions against Holy Cross last time out, yet he threw for only 156 yards. That shows that this is a dink and dunk style attack where big yardage is needed after the catch as opposed to a team willing to take shots downfield. An attack like that is not going to get big plays against this Army defense and it is unlikely that the Leopards will be able to sustain drives. If Army protects the football and doesn’t give Lafayette short fields to score on then the Black Knights will run out comfortable winners here.